Learn how you can use the Raspberry Pi camera module and a motion sensor to email pictures to a Gmail account. In this article, I'll show you how to send emails containing pictures using a Raspberry Pi and a motion detector and the Python programming language. We will use a motion detection sensor and whenever motion is detected, the Raspberry Pi Camera will take a picture and send an email with the picture attached. This tutorial only works with Gmail accounts, so before going any further, make sure you have a Gmail account. I recommended you create a brand-new Gmail account to avoid any possible security concerns. Login to your Gmail account by entering your login credentials. Click on your profile picture and then click on “Google account”. Under “Sign-in and Security” click “Connected apps and sites”. Click “Allow less secure apps” to turn it on. Now you can use your Gmail login info to receive emails containing Python code! 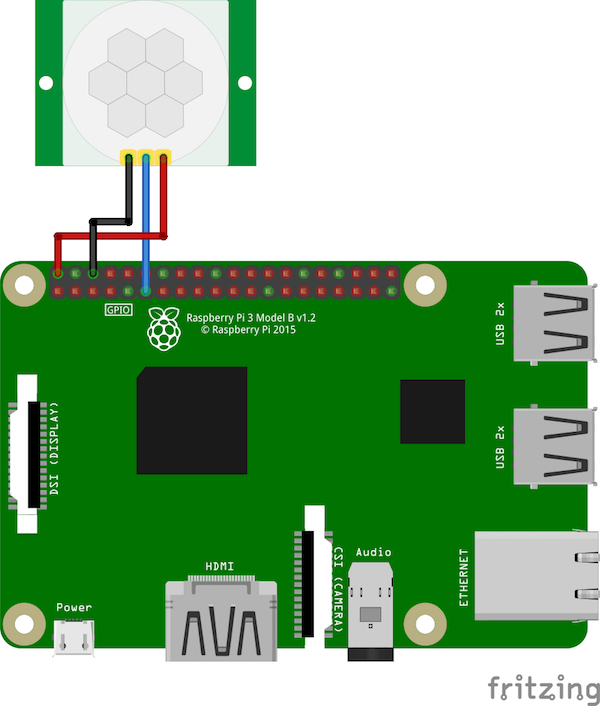 Connect the VCC and GND pins of the motion sensor to the 5V and GND of the Raspberry Pi, then connect the OUT pin of the motion sensor to GPIO17. 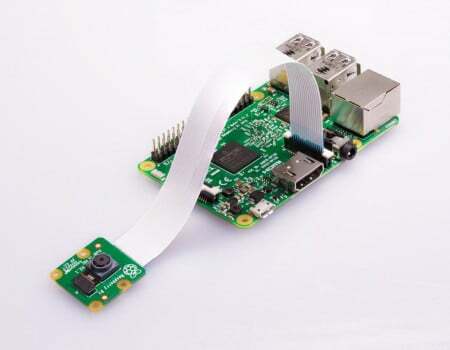 Make sure that you connected the camera to the Raspberry Pi and have turned on on the camera from the interfacing options. Before running the code, make sure the sender and receiver email addresses and the password of the email sender are all entered. The code will read the output from the sensor and, upon detecting motion, will capture an image and save it on the database folder. When you run the code for the first time, it will automatically create the folder. Once the camera captures an image, the image will be attached in the email and sent to the sender’s address. Copy and paste the below code into a new file with a filename extension .py and run the code with the command: python “filename” (e.g. python motionTest.py). # Find the largest ID of existing images. # Start new images after this ID value. # Grab the count from the last filename. Once you've uploaded the full code, let's take a look at what each section of code is doing in your project. First, we add the packages and modules required for this project. The GPIO package helps up to control the GPIO pins of our Raspberry Pi. The Picamera package is used for the Raspberry Pi camera, while the Smtplib package allows us to set up the Gmail server. Then, because we are going to receive the output of the sensor, we declare pin 11 as input. Any GPIO warnings should be ignored. In the send_mail() function, the system will check whether the database directory has already been created or not. If it is not created, one will be created. It will then look for the ID of the images and save the new image with a new ID. Then the most recent image will be attached to the email and sent to the receiver’s address. In the while loop, it will read the input from pin 11 and, if the input is equal to 1, the send_mail() function will be called to send an email. Cover image courtesy of the Raspberry Pi Foundation. Simple Python Code to Auto Lock Your Computer! I am an embedded programmer with the expertise in Arduino, Raspberry pi, ESP8266, IOT and OpenCV.